#1 Equine Business App too! The Equestrian manages day-to-day horse stall management, boarding needs, leasing rules, training plan, veterinarian exams, farrier visits, a marketplace, and more. We all want the best for our horses, so we built The Equestrian app to be that exclusive, one-of-a-kind equine tool you can rely upon everyday for your horses healthcare and well-being. It's about connecting people, horses and the community that cares for them. - News Feed: A news feed of your horse's activities and health; connected to others that help in their care. - My Horses: Manage everything about your horse's health, activities, and records. Think of this as your electronic, on-demand file cabinet that you wish you had with you at all times. - Contacts: From riders and farriers, to vets and more, your horse can stay connected with them all. - Forums: Participate with other horse owners. Ask and get answers to questions from other members. - Photos: Capture and share important moments with your horse. It could be a great trail ride you discovered early that morning. -Activities: Journal a list of activities for you and your horse. We have an extensive list of horse care topics that can be journaled. 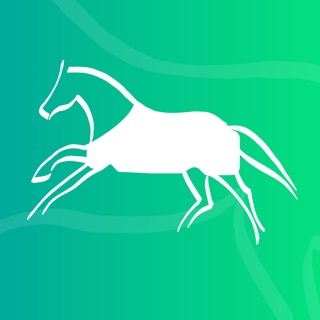 -Equine Businesses: We now support many features to run your equine business and connect to your customers in-app for free. -Horse Shows and Awards: Track your progress and results at all your horse shows. Now that wall or drawer of ribbons is easily searchable and available within the app. Not an Equestrian App member yet? Registering is free and easy! Join the thousands of members already enjoying The Equestrian app every day for the management of their equestrian lifestyle! You can now track all of your show results in the app! Now all those ribbons on your wall or in your drawer can be quickly added to the app and tracked! You can now search your posts, contacts, horses, horses journal entries, awards and more. We have a new app menu that quickly shows you all the mini apps you can use. Lot's of interface updates to make the app even easier to use. It’s a great app that easily lets you organize the care of your horses. I did have to delete it unfortunately because I don’t own any horses and thought it was an app based on the rider. I definitely recommend it though! Easy to set up but i don’t know how to use it other than that. How do you add people unless you know their account? I downloaded and added my horses. Since then, I haven’t been able to open the app again, help?